Will do. 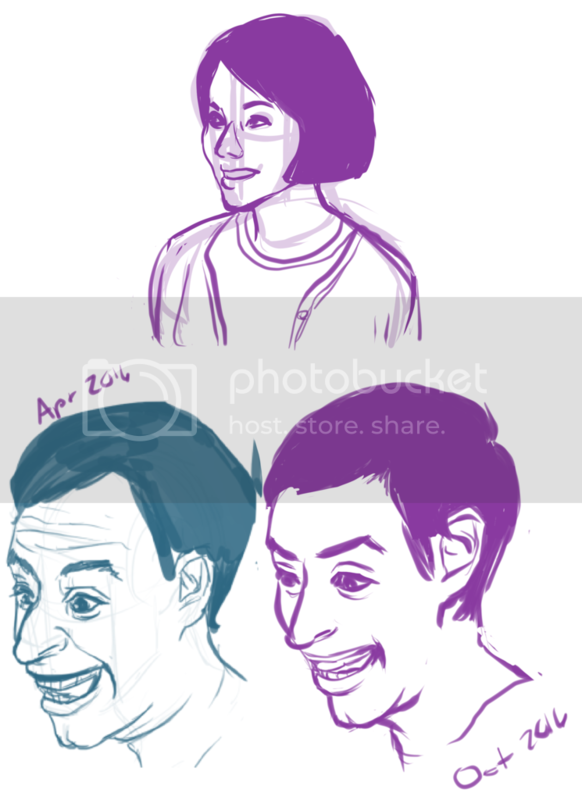 I'm going to push myself on face shapes on my next studies. Thank you! Value digital painting study without the use of the blending or airbrush tool in Clip Studio Paint. Dense Watercolor brush and Opaque brush is used for this. Last edited by Ninja-J : 09-24-2016 at 12:34 AM. 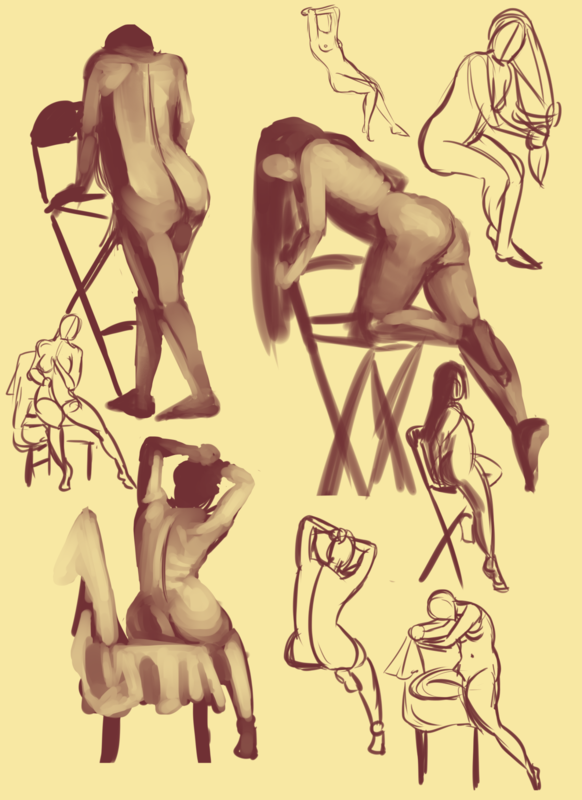 Just quick figure warmup studies because it’s been a while since I did them. Plus, I’m trying to be more comfortable with using watercolor brush tool and using airbrush tool less. Took a mental break yesterday of all things work/stress and decided to do some relaxing digital painting. Nice rosy lighting on her skin. The rim light on the side suggests a very strong light source though (like say... the setting sun?) and thus it suggests that the inside of her sleeve should be more transparent and backlit. Also watch neck size and definition. It's hidden by her hair, but she has a tiny neck. I second what Djinn said, but also, there's something funky going on with her dress on the left side of the picture. The rest of the lines suggest the dress is light and loose, but the way it sharply dips in and then flares back out makes it look like her hips are way up in her stomach. The right side looks good, but the left side looks odd. Thank you for the feedback. I'm going to look over this picture again and make some corrections. You have a valid point, Joe. I must look up clothing references to figure out how does the folds work. Thank you. 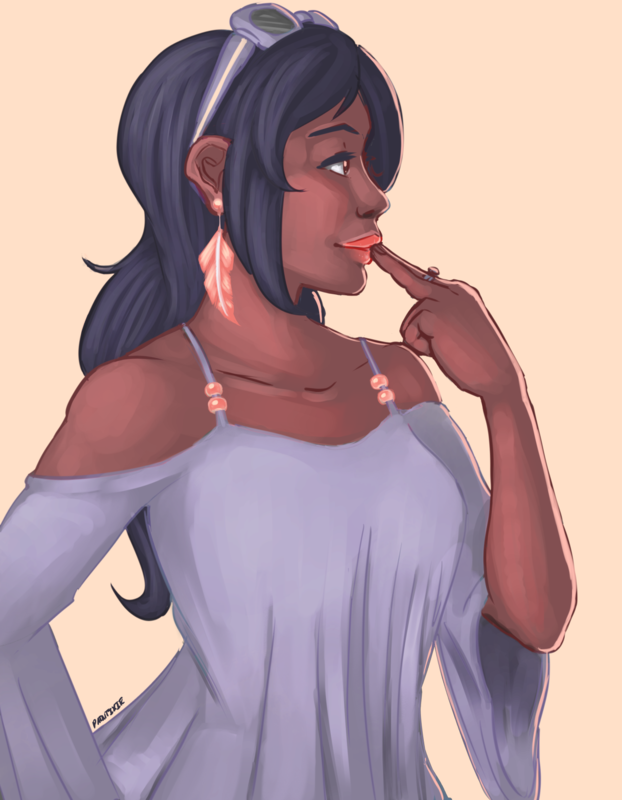 Hey guys, do you keep shading your works in greyscale-to-color or do you break out of it and go straight into color? Hey there. I personally go straight to color because i like the amount of control that gives instead of using blending layers. But i also know a lot of other people who don't. I think as long as you know the value structure of your piece and dont lose it when you go to color either way would work. Me personally? I go straight to color. There are advantages of using both. 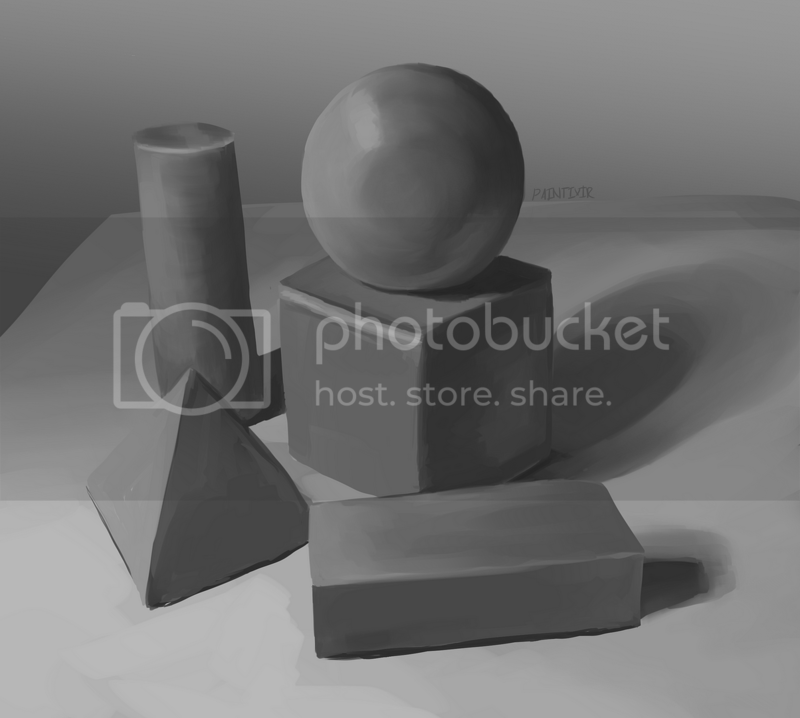 Grey scale allows you to get the values right and you just brush in the color afterwards. But the problem is that i find that when i do it this way, the colors look a bit muted or sedate. I go straight to color to speed things up and generally i was using chris legaspi's theory of color lessons to apply color. Of course, its doesn't always work as eventually i just break away from it and just eyeball the process. Quick study using the block brush before bed. I'll finish it later. Last edited by Ninja-J : 11-27-2016 at 08:24 AM. Last edited by Ninja-J : 11-29-2016 at 10:52 PM. Short warm-ups only take you so far. Try cranking out a finished piece using everything you've learned, or at the least an exhaustive study. Application to a finished piece shows you what you need to study next. Second what Djinn said, though I will admit I'm sort of guilty of not doing that myself. 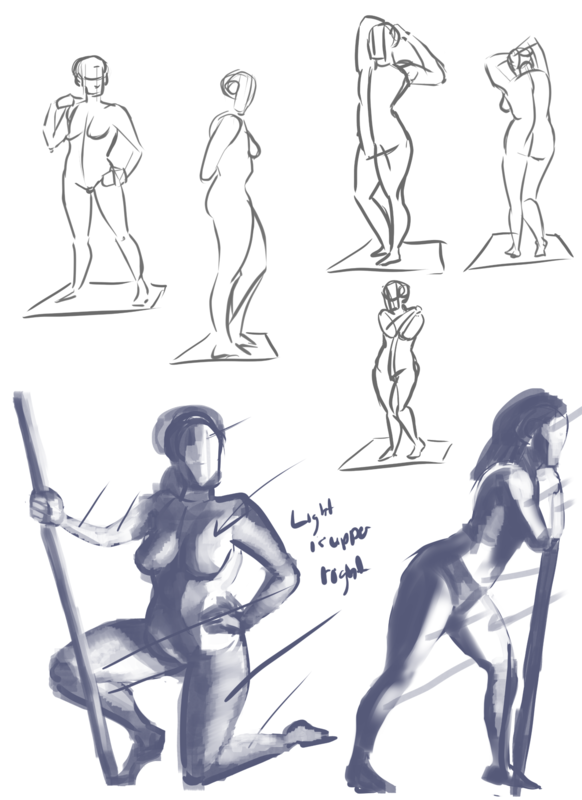 I did a figure drawing course a couple years back, and one time we had to do a figure study for 5 hours, so give that a shot, maybe? Set a timer, and if you can't complete it in one sitting, record your time, but spend at least 5 hours on it. 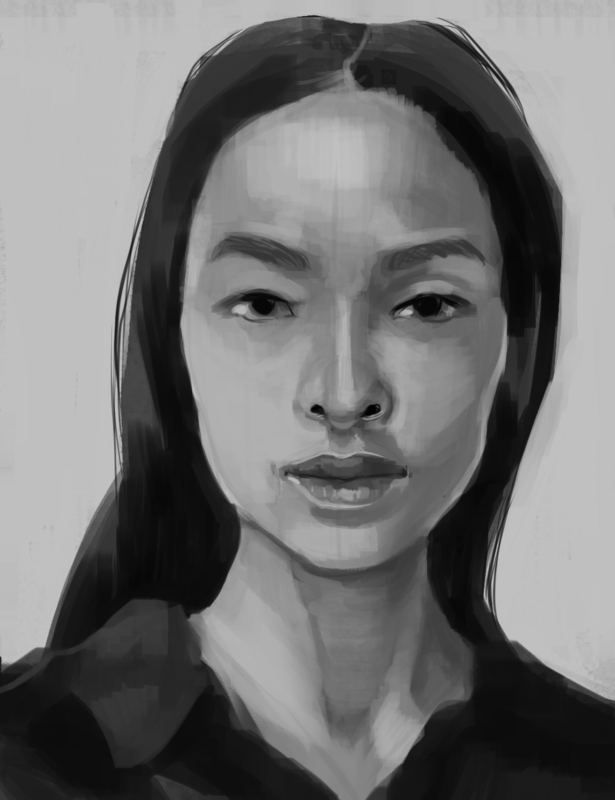 Your portrait study with the block brush looks very nice.